How a Wyoming company builds a community among second-home clients. Experts say attracting a new customer costs a company five times more than retaining an existing one. 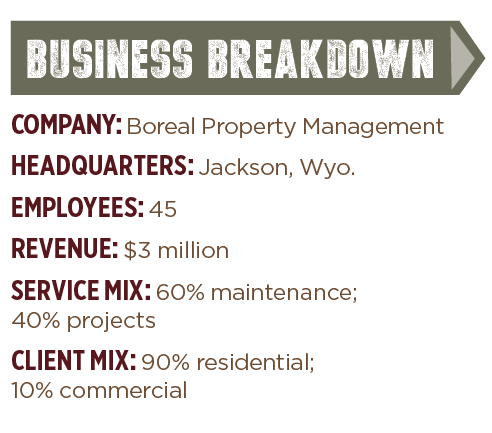 With this in mind, the owners of Boreal Property Management, a full-service property care company in Jackson, Wyo., have put an emphasis on client retention. By hosting an annual neighborhood cocktail party, the company has found a unique way to thank their existing clients—and also unexpectedly gain new business. Kellie Wheeler, managing partner, first had the idea for the party almost eight years ago when she realized many of her clients didn’t know one another. 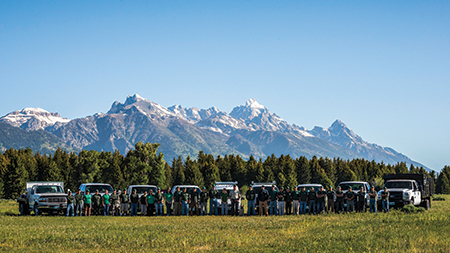 Because of the nature of the Jackson Hole area, ranches are often spaced out and may even have bodies of water or rough terrain between them. It’s also a second-home market, so many homeowners are only there part of the year. As a result, most clients did not have an opportunity to easily connect with others in their community. Wheeler says she wanted to do something to change that. Seven years ago Boreal Property Management hosted its first neighborhood cocktail party, and it was a big success. Every year the event has been hosted under a tent with cocktails, hors d’oeuvres and light music from a hired musician. Wheeler says the party has not only been an opportunity for customers to meet one another but also to meet the full Boreal staff—allowing them to “put a name to a face” of someone they may have only talked to on the phone. In addition, Wheeler says they invite prospective clients to the party, allowing them to get “candid responses from neighbors” about the company’s services. While the goal was to connect customers and create a sense of community, the party also has boosted sales, Wheeler says. As customers come together and talk about work they’ve had done, new project ideas are generated. The company declined to share how much it invests to host the party, but Wheeler emphasized it’s also a time and planning investment. She starts planning the venue and caterer about a year in advance, but she says the benefits far outweigh any expense. With a big event like this, Wheeler emphasizes the importance of planning ahead to secure a vendor and prevent financial burden.